GlueDots™ are pressure sensitive dots of adhesives that can be applied almost anywhere, making them a smart solution for print, packaging and assembly applications. They keep items aligned and secure by forming a strong instant bond to nearly any surface. 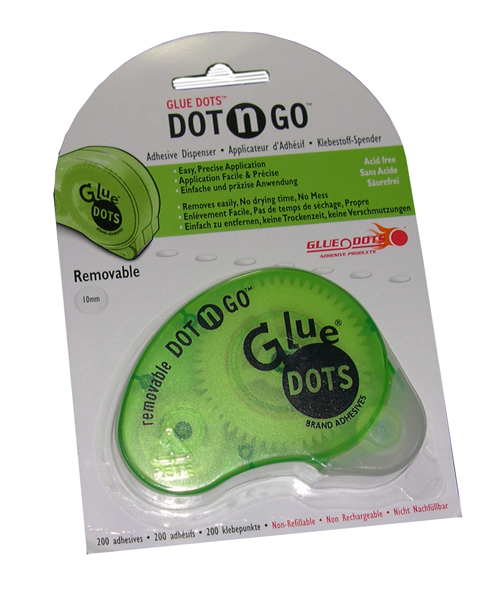 GlueDots are quick, clean and simple to apply. Available in handy dispensing rolls containing 8000 dots of 9mm diameter and 0.5mm thick in three tack strengths. 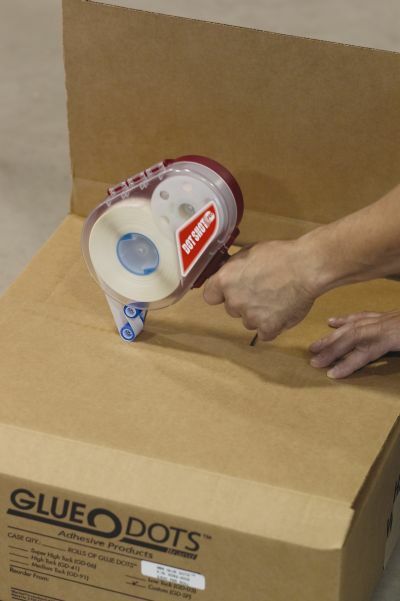 The Dot Shot applicator gun uses 1500 glue dot rolls and allows for easy and simple semi automatic application.